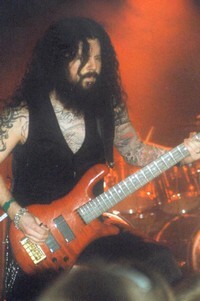 In July I saw Evergrey at the Czech festival Masters Of Rock and a few weeks later word got out that bassist Michael Håkansson left the band. That Fredrik Larsson is the new one, wasn't a surprise for me, but I was curious to see the new line-up live. On the current tour the Swedish play only two shows in Germany and Bochum was one of the last ones of this mini tour. I missed the support talking to some of the Swedish, but have to confess that from the little I heard, I don't regret missing them. 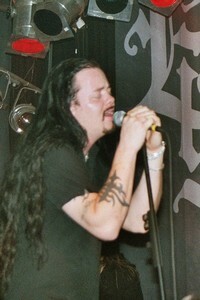 Finally Evergrey entered the stage with Blinded. The fans started singing along from the first note. A mixture of old and new tracks they had and songs like Mark Of The Triangle, Obedience and Monday Morning Apocalypse were the right choice. The new songs fit well in and even they are heavier, more modern sounding they blend in. After In Remembrance it was time to slow down a little with Till Dagmar - a keyboard instrumental. At the beginning of I'm Sorry Tom asked the audience, if they know the words and the whole band was floored then the fans started singing the first lines of the Dilba cover version. Tom sat down at the drum raiser in astonishment, but joined in a moment later. A magic moment - not just for the band! Afterwards Tom announced that they would play a song, they didn't play very often and probably never played in Germany. A fan shouted out loud - The Great Deceiver - another surprise for the Swedish, coz that was the track next on the schedule. Solitude Within they play more often and with More Then Ever the set was over. But the fans didn't want to let them go. When The Walls Go Down led into the encores. Last, but not least they played The Masterplan. Great show! A new line-up always means changes. Bassist Fredrik Larsson need more stage experience it seems, but he did a good job. It ain't easy to replace Michael Håkansson, coz he was always in motion, head banging, rocking and produced an extremely heavy sound. Fredrik didn't sound that heavy, but is a suitable replacement. It was obvious that the band enjoyed being on stage, especially guitarist Henrik Danhage was in an extremely good mood, even if just about 350 people came to see them. Unfortunately in Germany they are still underrated, so one can just hope that the Germans will wake up and recognize the band with their next album.... And that they can play more shows in future. Fans of the Swedish should mark Bang-your-Head festival in their calendars, coz that's the next chance to see them live - as far as it concerns Germany. If you missed them, shame on you! 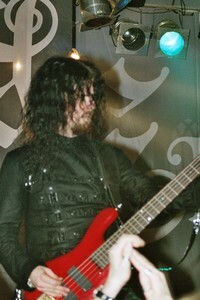 Get the DVD - if you don't have it yet -  and get an idea about Evergrey live! So the first song we heard was Forgotten Soul. The band presented 2 new faces, coz guitarist Gus G. is touring with his band Firewind in the USA and drummer Dennis Ekdahl... Well, I don't know... Anyway, Sacred Steel drummer Mathias Straub jumped in and for the live show they hired another guitarist. They already have a touring guitarist to help out on stage, so that singer R.D. Liapakis can concentrate on his vocals. Not everything worked out perfectly, but I think that's just because there haven't been enough time to rehearse... But it was just minor things. The guys presented songs of all 3 studio albums incl. Eternal Flame and Sign Of The Cross and finished their set with the Manowar cover Fighting The World. A good set, but I saw them doing better when they opened up for Death Angel, regarding the fact that they have new people on board, it was a good show. After a break it was time for Rebellion to enter the stage. As in Wuppertal a week ago they started with Ynglinga Saga. When the 2 former Grave Digger members Tomi Göttlich and  Uwe Lulis started Rebellion many thought it's just a project, but now 3 albums later it's obvious that they are a band! It still was a surprise for some fans that Björn Eilen wasn't on stage and got replaced by Simone Wenzel. She wasn't as nervous as a week ago and so could add more to the show then just her guitar play. Songs like Eric The Red, The Prophecy and Ragnhild's Dream sounded tighter. 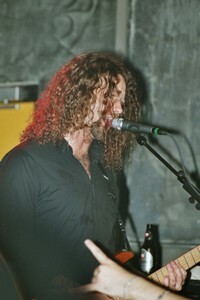 With Born A Rebel - the title track of their second release - singer Michael Seifert could cheer up the fans so that most in the audience were singing along. Sure, they concentrated on their latest release and so this show was like another warm-up for the tour. A highlight was Letters Of Blood and surely the Grave Digger tune Rebellion. Now the fans were going crazy. And with Disdaining Fortune - the encore - their stage time was over. And after 70 minutes of true metal it was time for the prog power metaller from Sweden - Evergrey! The change over was longer then expected and the Evergrey crew and some local techs tried to fix the technical problems. With the intro the band uses for awhile and which many will know from their live CD / DVD A Night To Remember the band entered the stage and kicked off their set with Blinded. They focussed on In Search Of The Truth and Recreation Day, but with Solitude Within, She Speaks To The Dead and Nosferatu they presented 3 tracks from Solitude * Dominance * Tragedy. A highlight for long-time fans of the band, but for many the ultimate highlight was I'm Sorry. The light show supported the atmosphere created by the songs. 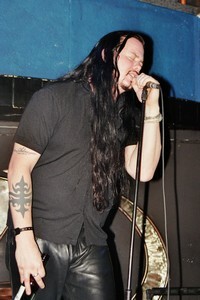 Tom Englund is a very charismatic frontman and tried to move everybody in the audience and to clap their hands. Guitarist Henrik Denhage and bassist Michael Hakanson were always in motion while drummer Jonas Ekdahl was headbanging through the whole set... Okay, no headbanging at I'm Sorry.... After Recreation Day it was over... Too soon! And not as planned, coz the local promoter just turned off the sound and the band freaked! Especially Henrik Denhage and Tom Englund started some arguing with the local promoter. Henrik flipped and one of the crew guys had to get in to prevent a fist fight. The band stayed on stage and made the fans shout louder and louder, but that didn't change anything. Due to the fact that this was an open space and near the city they had a strict curfew which is okay, but if the supports - in this case Mystic Prophecy and Rebellion - need more time for sound check and so instead of cutting down their set the local promoter let them play 70 minutes as planned and Evergrey had to cut down their set which is weird. Then due to the technical problems they had another delay which led into the turn off of the P.A. system. Not just unfair to the band, even more unfair to the fans! The Swedish power progsters just came off the tour opening for James LaBrie to play this acoustic show and present their live DVD A Night To Remember. Afterwards a few more shows – but no other acoustics. So this was something special. First they showed some stuff from the DVD in the bistro at the huge screen, but then it was time for some live music. As the acoustic set took place in the disco the band had set up the "stage" a little differently. Drummer Jonas Ekdahl on the far left, then bassist Michael Hakansson, Tom S. Englund in the middle - this time without a guitar, but always with a beer - then guitarist Henrik Denhage and on the far right keyboarder Richard Zander. A good chance to watch them closely. They started with As I Lie Here Bleeding followed by Misled. The acoustic versions are sounding different, but great. Here Tom's unique voice put the listener under a spell. The songs are more intense in the acoustic version and The Shocking Truth was amazing. The cover version I'm Sorry was touchung. The band was relaxed and seemed to enjoy this acoustic set as much as the fans did. They had a few beer and lots of fun - especially when Tom tried to get Henrik's microphone closer to the guitar and almost thrashed it. Some communication in Swedish between the songs, coz they haven't rehearsed the acoustic versions often, but it didn't sound like that! Whenever the band gave the impression that they want to stop playing the fans got even louder and didn't let them go. After Blinded and Waking Up Blind Tom took the chance to escape to say hi to someone who was on the gallery above them. The band continued with Recreation Day and Tom decided to keep staying at the gallery. But after Words Mean Nothing it was over. Too soon! This was just planned as an appitizer and to get some attention for the coming DVD release, but hopefully this won't be the last time they play acoustic! The fans were happy and afterwards had the chance to hang out with the Swedish in the bar / bistro. Thanks to the Matrix team for setting up this acoustic show / DVD presentation and hopefully there are more to come! A chance to see Evergrey headline is rare and again we had to go to the Netherlands for the show. But we already feel home at Weert's de Bosuil. Opening act this time were the Danish Mercenary. The sextet probably look more like some Nu metal outfit, but they play melodic death metal / modern thrash. Their latest album is called 11 Dreams and so they focussed on their second release, but also played something from their debut Everblack. I'm not familiar with them, but I'll soon listen to their stuff! Beside the title track 11 Dreams they played Firesoul and Seize The Night. Sorry, but that's the one I remember. The guys did really good, but what makes it interesting is the change between Mikkel's clean vocals and bassist Kral's growls. An interesting band and they have the potential and the right sound to step on and level with bands like In Flames and Soilwork. Looking forward to hear more from the Danish dynamite. After a change over it was time for the Swedish masters of dark progressive power metal. And Evergrey entered the stage! Not long ago the Swedish quintet recorded in their hometown Gothenborg a live album and DVD. For that show they put together a set list with all the highlights of the albums released since Solitude * Dominus * Tragedy. The kicked off the show with Blinded and More Then Ever. Singer / guitarist Tom Englund and his mates had a lot of fun on stage and the great, powerful sound made it easy to enjoy the set. For some it was a surprise to hear Nosferatu and Solitude Within again live. Very intense was the In Search Of The Truth part including Misled, Rulers Of The Mind and Marked By The Triangle. Still my favorite album and so I especially enjoyed them. But with A Touch Of Blessing they played the best song of The Inner Circle, but it wasn't the only one. To give the band and the fans a break they played I'm Sorry, the cover version of a Dilba song. What a great tune! 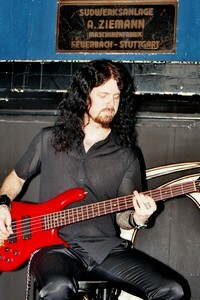 More of the Evergrey power to follow. Some songs from Recreation Day and The Inner Circle. Too soon the show was over, but they didn't leave without The Masterplan! Great show, guys! One of the best I ever saw of the Gothenborg quintet. And come back soon! It's a shame that in Germany they rarely get the chance to play headlining shows and so a special thanks to the Dutch and Belgium promoter who brought them down again. Thanks for a great evening and hopefully not the last memorable event at de Bosuil. When I heard that Evergrey will do a few headlining shows, I knew I had to go to see them! Last time they were supporting Therion and had unfortunately just 35 min. which was not enough for me! On a Friday night I was on my way to Vosselaar. When I arrived the opening band were leaving the stage, so I can't tell anything about them. After a break it was time for the Swedish quintet entered the stage. They were still promoting their latest release In Search Of The Truth. The band was tighter then the last time I saw them, the line-up is steady now for quite awhile. Okay, on keyboards they this time got a helping hand from the Andromeda keyboarder. 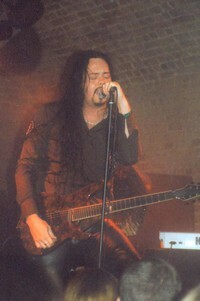 Evergrey concentrated on the songs from In Search Of The Truth, but didn't forget their old stuff! In Germany Solitude * Dominance * Tragedy was more popular then In Search Of The Truth. In Holland and Belgium it was the other ways around, so they played most songs from In Search Of The Truth incl. The Masterplan, Watching The Skies, Mark The Triangle and Dark Waters. But with e.g. Solitude Within and Nosferatu the band offered songs from Solitude * Dominance * Tragedy. In the middle of the set Tom Englund presented the Japanese bonus track which is a slow, very emotional ballad, sorry I can't recall the name.... 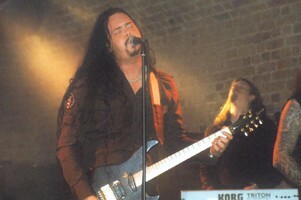 But it shows that Evergrey can't just write powerful songs. Even if guitarist Hendrik Denhage had in the beginning a few technical problems, it was a great show, but again too short! Just about 70 min.! Anyway, the band had obviously a lot of fun. And so the fans who were just a little disappointed that it was over that soon. Thanks, guys! Btw, without Bob, the owner of the Biebob and the record store next door, Evergrey wouldn't have come down! Bob talked them over to do the handful of shows and the audience reaction shows that he was right! So, special thanks to Bob!! !